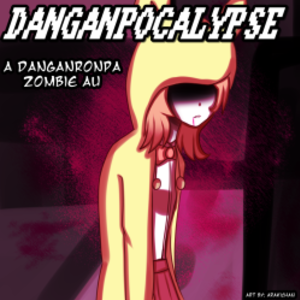 Casting Call Club : Danganpocalypse: NDRv3 Auditions! Casting Call for Danganpocalypse: NDRv3 Auditions! This is for a Tumblr Ask Blog, located here. This post is for NDRv3 characters specifically, but also for roles that have yet to be filled. Our Himiko, Hoshi, and Ouma have already been cast, but please feel free to audition for any of the other available roles! Open to personal interpretations, but I would also like to maybe hear takes that sound closer to their seiyuus as well! Serious and very polite. Gets angry when he believes people are being discriminatory against robots. Tends to take some things literally. It is possible to achieve a hearted speech through calculations! Please stop being discriminatory against robots for not having a heart and a brain! My name is Kiibo! And I am the Super High School Level Robot! Noisy, cheerful voice. Very expressive and somewhat aggressive at times. Tenko's master always says that you must use your power the right way! You're blaming this crime on Tenko! Because guys will always shift the blame right away! An honest punch from the front is the pride of an aikido practitioner! Calm, serious, and polite. Rather high for a male, rather low for a female. Gets timid when talking to others. I will never forget this moment either… I will place more faith in myself. Myself as a detective. If it's you, you can do it. Incredibly upbeat, cutesy, and super energetic! The very image of the class cheerleader. Angie's body is nothing but a vessel He borrows. God is the one who doing it. Nyahahahahahaha! Divine, right? Lemme know if you feel like praying, okaaaaay? Byeyonara! Yahoo! Doing fine? Here's Angie Yonaga! The Super High School Level Artist! Kind-hearted, gentle, polite-sounding voice. Gets angry when people claim that insects are gross or bugs are bad. Intimidating appearance hiding a softer, light personality. I can't call myself a gentleman if I stay here without fighting! A gentleman doesn't give up that easily! In order to repay the woodland family that raised me, I aim to become a true gentleman. Energetic, passionate, hotblooded. Think a reliable older brother type character. Very loud and expressive. Also Bree (the creator of the entire blog)'s favorite character! Space, ya know, is an ally to people who want to overcome their limits without closing up. Famous even in space, I'm Kaito Momota! The Super High School Level Astronaut that crying children long for! I mean, culprit, dude, don't go hiding yourself. Come out and surrender like a man! Refined, mature, and very serious tone. Formal at all times. Cold anger. I have a duty to cooperate with all of my power, since you said we should. The suspect, the defense attorney, the prosecutor, the judge... all of us are filling all the roles here. If you say you suspect me, then how about I crush all of your suspicions? Overly confident, brash, very loud. When confronted, crumbles into a thousand pieces. Crude humor, dirty jokes, but actually quite terrified of what others think of her. I'm the genius to carry the name of beautiful people, the one boasting the golden brain cells and historically good looks... The almighty Miu Iruma! One can take comfort while they're asleep, failed creations have no damn right to be on the same level! How can you live life when you're so relaxed it's like you're still asleep? Optimistic, positive-sounding, somewhat bossy. Somewhat stereotypical, average, everyday girl voice. Because I believe in you all... I need you to believe in me! Ah, that's right... My name is Kaede Akamatsu. I'm the Ultimate Pianist. Nice to meet you. Incredibly serious, and doesn't talk a lot. Sarcastic at times, and very very distant. Kids love me, you know. Even though I'm not particularly good at taking care of others nor very sociable. I'm the Super High School Level Nursery School Teacher, Maki Harukawa. Relaxed, care-free voice. Calm, composed, and can be quite cold when he wants to be. I'm not a suspicious guy, so I hope that we can work together! Cool-headed, intelligent, composed. Somewhat stilted way of speaking. I wonder what kind of beauty humans will display under these trying circumstances. I do look like someone who sully their hands with murder, don't you think? Judging from my appearance, speech and conduct so far. We have to be calm and logical in our search for the truth. Gentle, docile, rather sweet-sounding manner of speech. Gets lost in her own thoughts, becomes very passionate when talking about cosplay. Black-haired characters with red eyes are always sacred! Cosplay is an expression of love!